Get this book for free if you have Amazon Prime/Kindle unlimited! This is the best and easiest way to get the ultimate collection of these funtastic memes when you get if for free with Amazon Prime/ Kindle unlimited! Memes for fun and enjoyment. Also for laughs. This ebook contains some great and funny color pictures from all over the internet, a collection of the best memes. 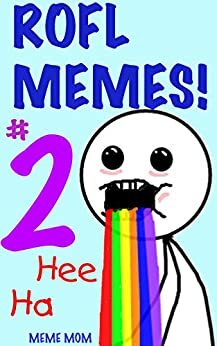 This ebook contains over 100 memes carefully selected for your enjoyment. Make sure to download this book for free if you've got Amazon prime/Kindle unlimited! And just return it when you're done, it's that simple!